With the help of our experienced engineers, we are able to design and develop Superound Withline Leage Grass Vlarge. Our premium metal football goal posts are available with wheels or without wheel designs. 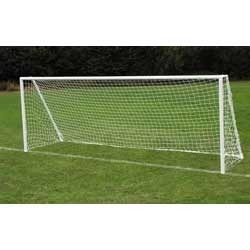 These goal posts with high quality nets, ground staples, and fast-clips are easy to assemble. These are available in the market at legitimate prices.